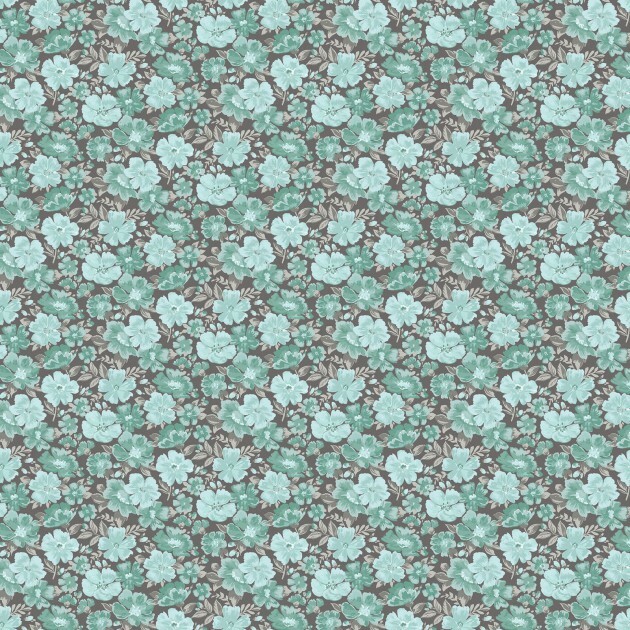 Lovely turquoise flowers on a gray background. Part of the Abigail collection by Dover Hill for Benartex; style P3108. 44/45 in; 100% cotton.